separately. The purposes and commitments of this ensemble are identical to the Concert Band. The Symphonic Band is the top performing group comprised of students who have shown superior performance abilities. The Percussion Ensemble is comprised of the band’s percussion students. 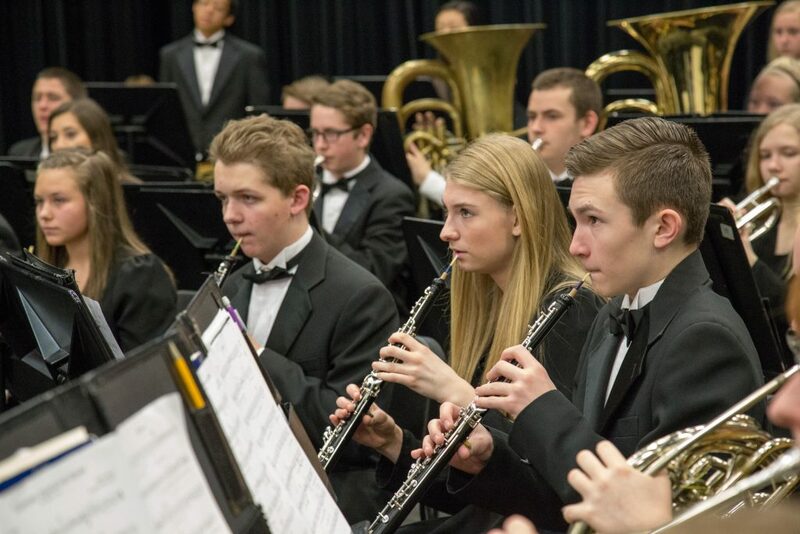 Members are assigned to either the Concert or Symphonic band, and they also work separately in the steel drum band and/or Percussion Ensemble, as well as being part of the Marching Huskies during marching season. A volunteer core group of 30 to 40 students will represent the band program at basketball games (December through February). All students in band must sign up to perform at two basketball games of their choice during the basketball season. © Hersey Bands 2019. Not an official John Hersey website.